This question has been tossed around online marketing circles for years. Estimates range from 20 cents to $250. 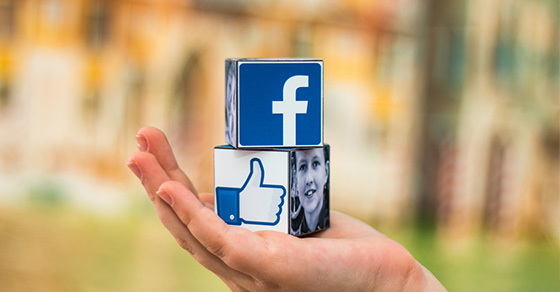 The marketing firms that estimate higher values for Likes, usually over $100, indirectly measure all these qualities by comparing the profit from customers who Like or whose Friends recommended a product, to customers not exposed to the company’s Facebook presence. However, this method lacks rigor because it has a built-in sampling bias: customers who Like a company are likely to already want greater engagement with that company. A better approach would be to develop a way to quantify each factor, and then decide how much a Like is worth for your particular company. We’re going to look at how each factor can be calculated to help you decide what a Like is worth to your company. When your company or your content receives a Like from a user, this may show up in the newsfeeds of that user’s Friends. It will likely rank higher in the feeds if multiple people in the same social networks Like the same company or content. Thanks to the stunning array of social media monitoring tools on the market, this metric is reasonably easy to measure. Using a marketing software suite, subtract the number of leads generated by your social media content, subtract the number of people who liked the content, multiply by your average profit per lead, and you’re done. This one’s a bit trickier, because content can benefit you more than leads. The primary purpose of content delivery is to increase visitor loyalty. Not only will the content generate leads when users click on the links, but also it will generate leads when customers think of purchasing your type of product. Fresh content, delivered regularly via Facebook or any other means, has a quantifiable impact on people’s spending decisions. The trick is learning how to quantify it. The most common way to quantify it is to try to correlate content readership with repeat loyalty. Using a marketing toolset, you can check to see whether people who Like an image, or click on a link in content, are more likely to be repeat customers. There still is some selection bias worked into this, but that can’t be avoided. Work out the probability (out of 1) that someone reading content will be a repeat customer, multiply it by the value that a repeat customer brings you, and you have your value for this part. Brand awareness calculations are too complex to describe here, and can depend on what outcome you want. You can find a good summary here. This one is easy- how much do you currently pay to collect data on your customers, or to research target demographics? A Like gives you a little bit of data. What is it worth to you? There has been a huge debate recently about whether or not Facebook advertising is “worth it.” However, both sides of this debate try to apply their personal experiences to every company. The truth is, it depends entirely on your company. A Like could be worth less than a cent to you. It could also be worth over $200.